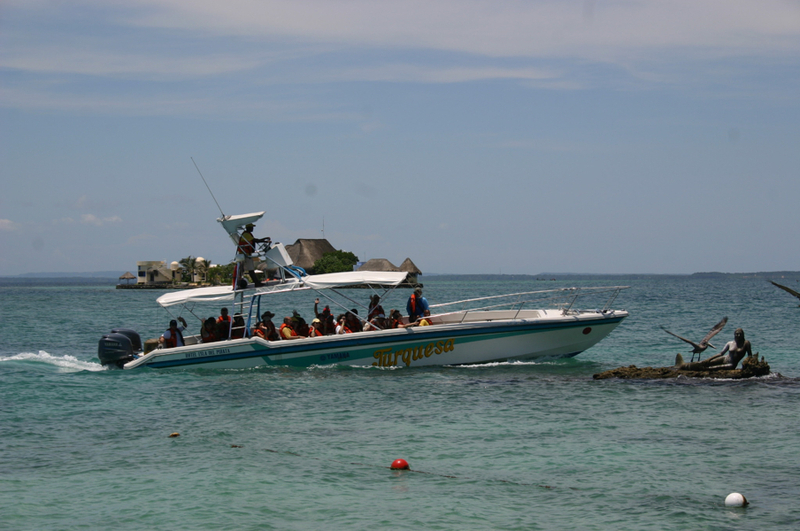 Isla del Pirata is one of the 30 coral islands forming the Rosario Archipelago. The area has great natural beauty and has been a designated national park since 1977, with a pristine and healthy ecosystem. 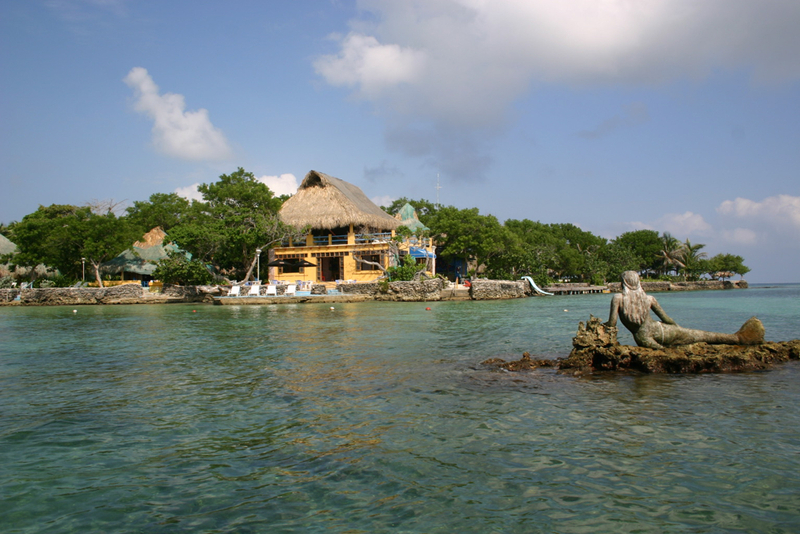 Hotel Isla del Pirata is a small hotel on the island, which offers local cuisine, day tours and other activities. 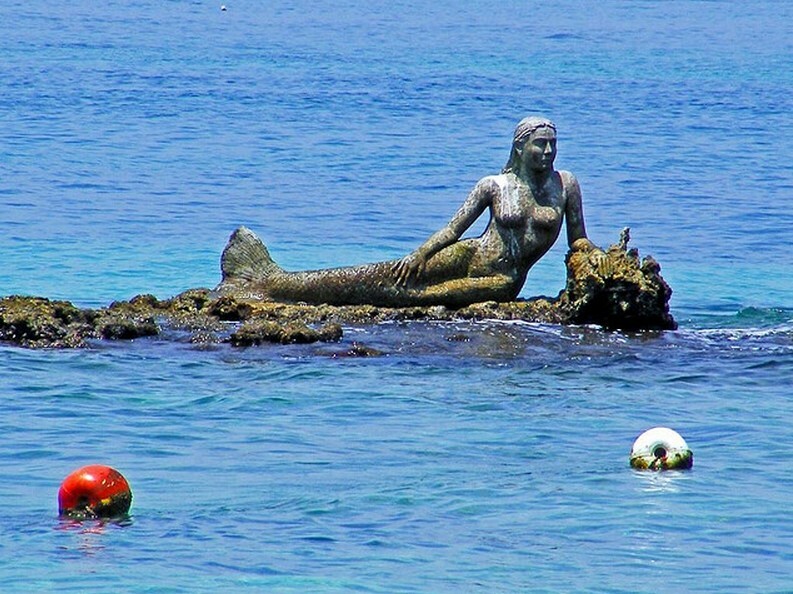 Isla Pirata Mermaid Statue. Photo © by Hotel Isla del Pirata. 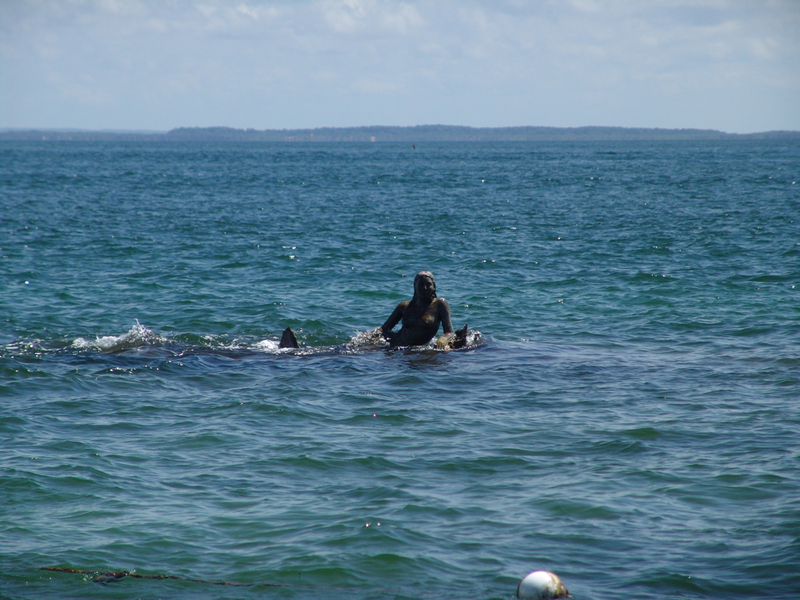 Isla Pirata Mermaid Statue (in water near center). 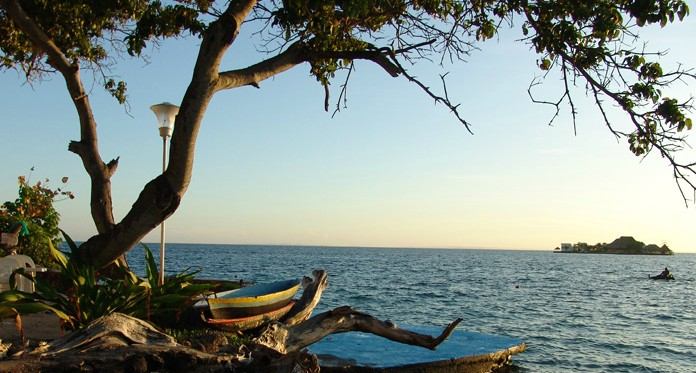 Photo © by Hotel Isla del Pirata. 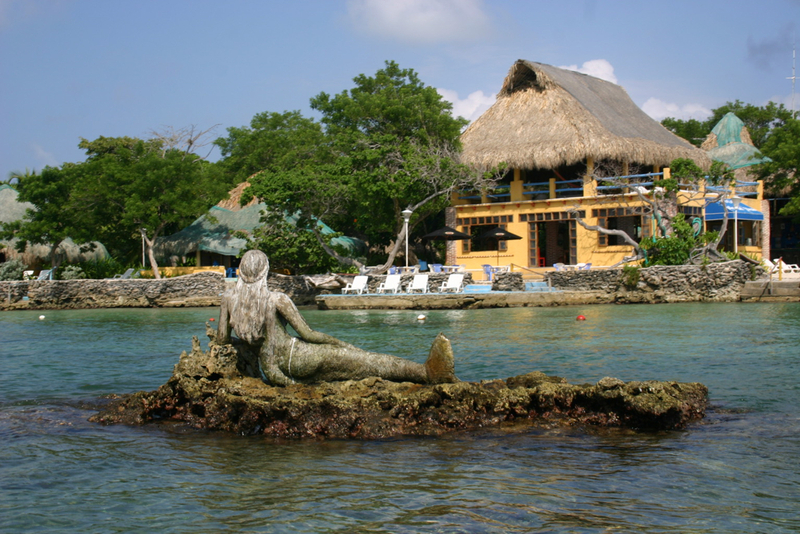 Isla Pirata Mermaid Statue (far right). 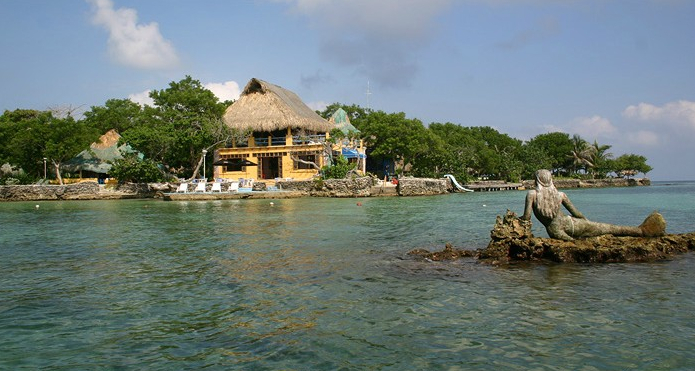 Photo © by Hotel Isla del Pirata. 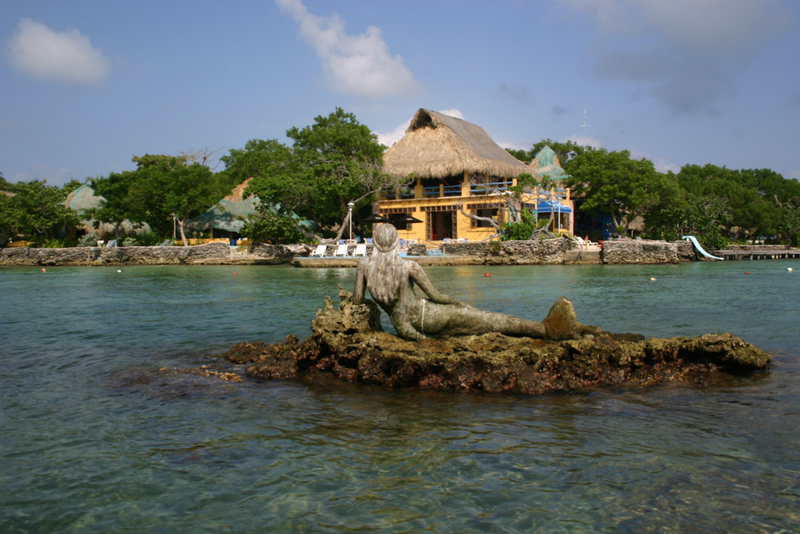 Sirena Isla Pirata Mermaid statue. 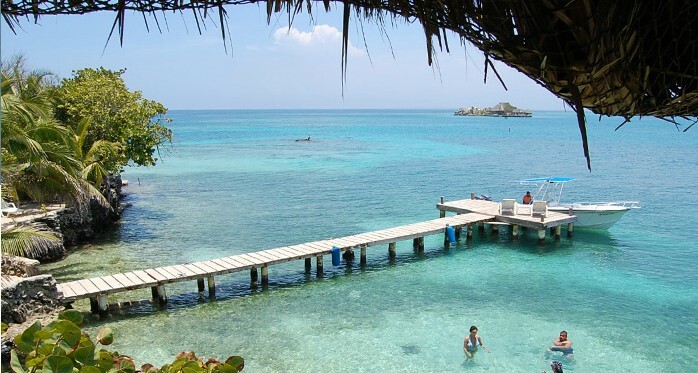 Photo © by Hotel Isla del Pirata.